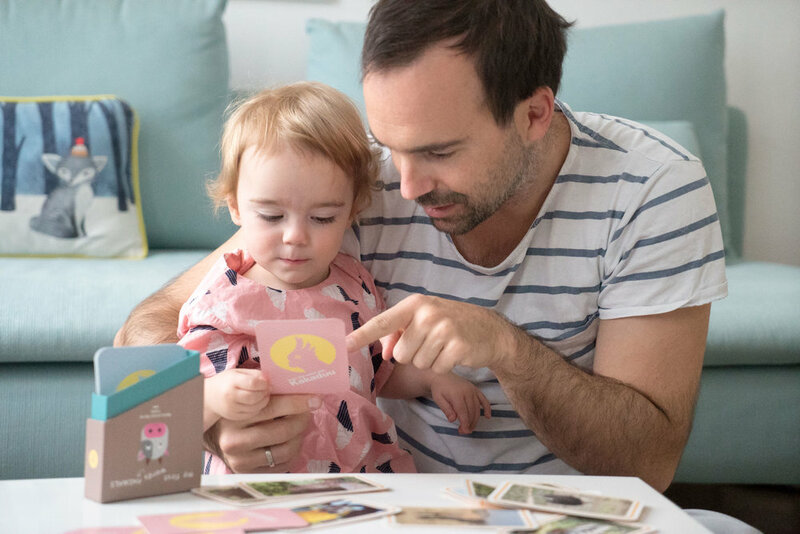 Our card box comes in a beautiful design and enables a quick and easy access for your cards. 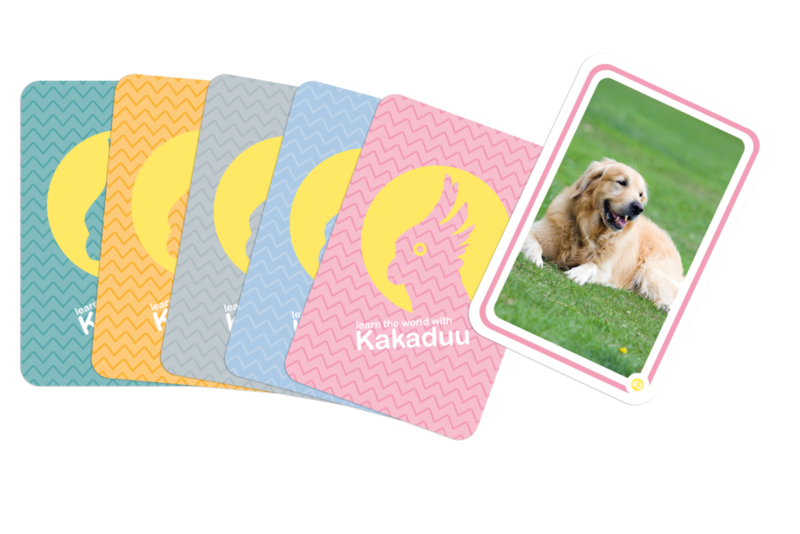 Kakaduu flash cards are therefor the ideal flash cards to learn the first words with your toddlers, either at home or on the way. 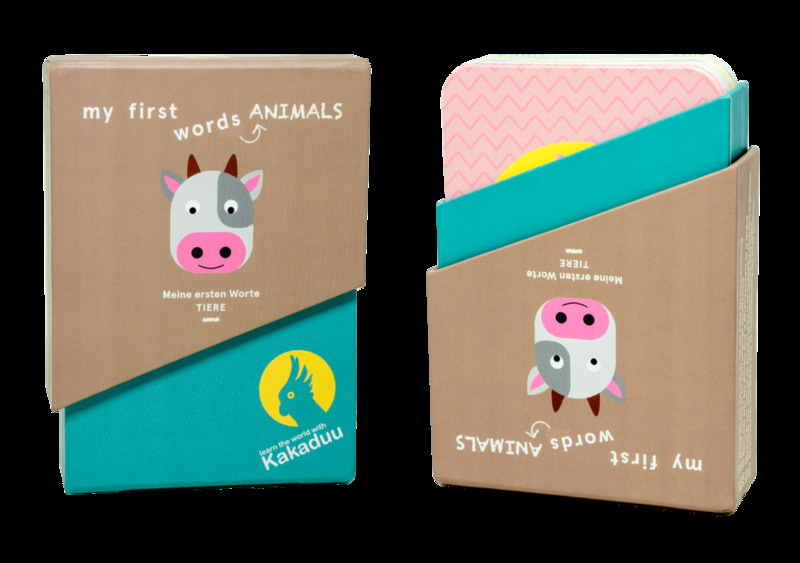 Our flash cards are oversized (80 x 120mm) and do have rounded corners, so also small children can hold them. Use our 5 color coded categories to learn the first words step-by-step. It will be easier for your little ones to get an overview about the words. 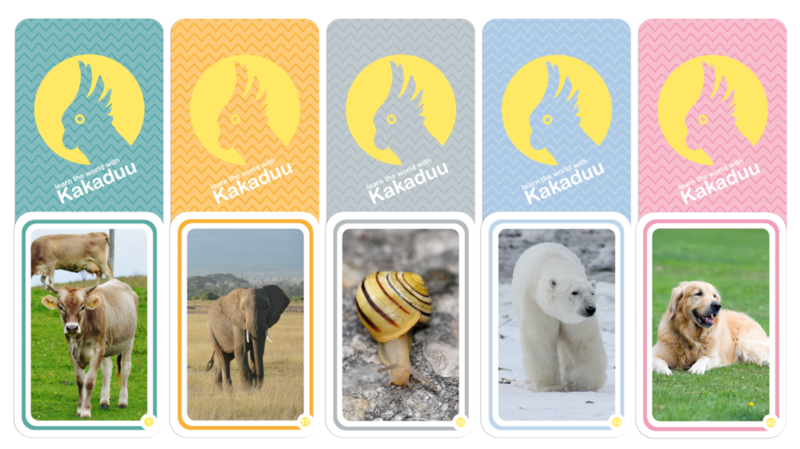 Kakaduu flash cards are EN71 and FSC (Forest Stewardship Council) certified. We commit for a better future for our children.